A tribute to Jo Cox by the Syrian civil society organisation Women Now for Development. There is more on how you can support Syria Civil Defence in that earlier post, including by supporting the Jo Cox Fund. Syria Civil Defence are just one of very many civil society organisations to grow during Syria’s revolution against dictatorship. Local councils have been formed in communities across Syria, experimenting with democracy in a country that has suffered more than four decades of dictatorship under the Assads. 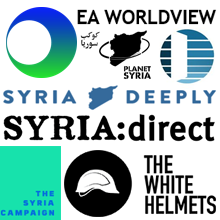 These local councils, along with very many Syrian civil society organisations, are working to build a humane alternative both to the murderous failed state of Assad, and to the terror pseudo-state of ISIS. A lot of support for Syrian civil society comes from the Syrian diaspora. And international NGOs rely greatly on Syrian civil society organisations to deliver on the ground. Read this article focusing on Hand in Hand for Syria to get an idea. As well as established NGOs, British and Syrian doctors in the UK are supporting medics working under fire in Syria. London Fire Brigade support Syria Civil Defence with donations of equipment. But we believe there is much more UK civil society can do to support civil society in Syria. One key area is education. We are working with NGOs who support and run schools inside Syria, schools that now have to use classrooms in basements because of the deliberate targeting of civilian areas by the Assad regime. These schools are looking to build contacts with schools in the UK. Their need is is not just for funds; it is a need for teachers working under the worst circumstances to have the support of their colleagues outside Syria; it is a need for children to see hope in contact with a world beyond the war. 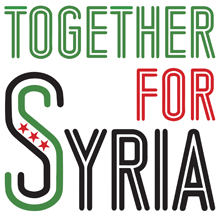 Please get in touch with us—info@syriauk.org—if you would like to help make civil society links between the UK and Syria, on education, on local governance, health, emergency services, culture and more. The All-Party Parliamentary Group co-chaired by Jo Cox, the APPG Friends of Syria, produced several issues of Syria Notes with information on Syrian civil society organisations and their work, including articles on the Syrian Network for Human Rights, on volunteering in refugee schools run by the Karam Foundation, on the Badael Foundation and their work with women peacemaking activists inside Syria, on the many local activists working to sustain life inside besieged areas, on the work done by the Syrian British Medical Society and Syria Relief to support services under attack by the Assad regime. Also in back issues of Syria Notes, you’ll find extensive discussion by Syrian civil society activists at the close of February’s aid conference in London, an appeal from women activists under siege organised by Women Now for Development's centre in Daraya, a call for airdrops from UOSSM, the Union of Medical Care and Relief Organisations, and a detailed account of the rise of Syria’s local councils. Find out more about how to support the causes Jo Cox believed in on our TAKE ACTION page. Read our appreciation: Jo Cox, humanitarian. Lovely to see a British politician honoured around the world. And sad that her courage and other virtues are recognised only on her death.